All-in-one native advertising software for publishers, app developers and advertisers. Sharethrough for publishers (SFP) manages all forms of monetization, from direct sales to third-party programmatic demand with the SSP built for native advertising. Publishers can manage their entire native ad strategy, from direct sales and execution to yield management and network optimization. 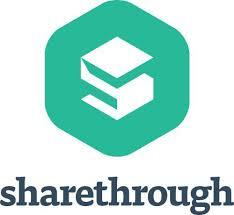 For more information on Sharethrough please visit their site at sharethrough.com.